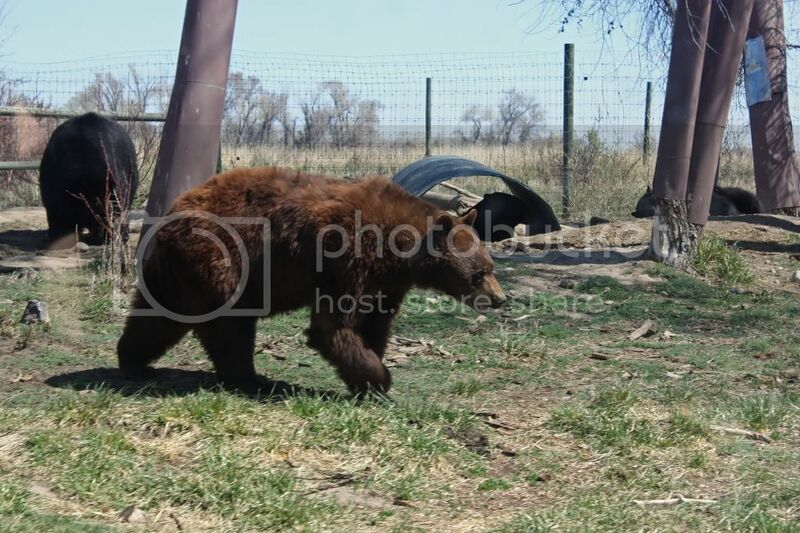 Ever since we came to Rexburg, we've joked about going to Bear World. When you drive by - it kinda looks like a small outside petting zoo. We joke about it being Jurassic Park, only with bears. Well, currently they are hosting Cub-Palooza, and with a half-off price ticket, we decided to see what it was all about. The park has 2 parts, the drive through wildlife park and then the play area/shops. The best part is once you pay for admission, you get to go through as many times as you want. We drove through twice this visit and I was SHOCKED at how close they get to you. You drive through with your doors closed and windows up, but they come within a few feet of the car. I took this picture from the car window, without my zoom lens. Yeah he was about 5 feet from the car. We headed to the second part of the park, and went to the petting zoo area. 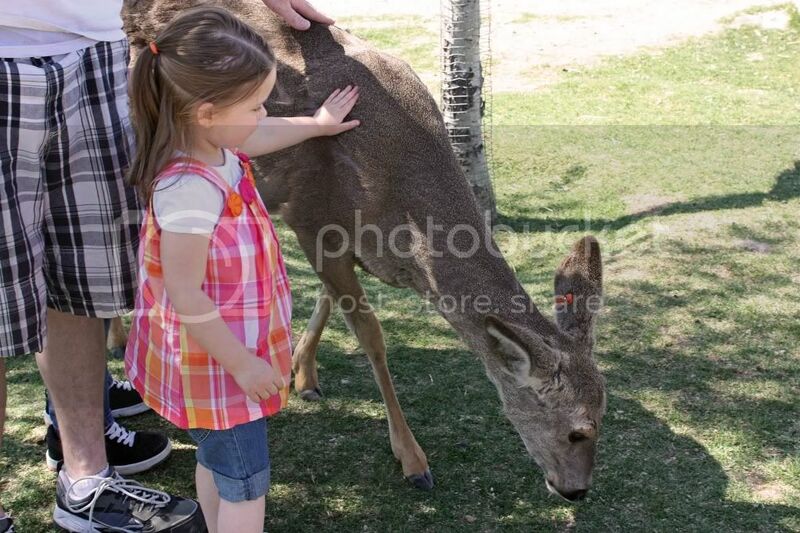 Zoe got to pet all sorts of animals, her favorite was the deer. I mean how often do you get to pet a deer?! They were very sweet in nature, there was even a baby fawn Zoe got to pet. There is also a mini amusement park, that you can go on as many times as you want with paid admission, definitely a great addition to our trip. Also, have you ever seen a swan close up? They are HUGE. I was shocked at how large they were. Beautiful and graceful, but huge.